XFP Transceivers | XFP Transceiver Modules including CWDM, DWDM and BIDI - GAOTek Inc.
XFP transceivers are designed for high-speed computer network applications and telecommunications links employing optical fiber. 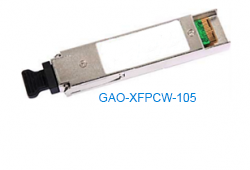 Sometimes referred to as ‘10 Gigabit small form factor pluggable’, XFP transceivers are slightly larger than their closest counterparts which happen to be the SFP and SFP+ standards. Using an XFP module, you will notice that they are truly hot-swappable and protocol-independent. The diversity and flexibility within the transceivers are no doubt the primary reason why it’s preferred by so many professionals in the computer network and telecommunications industries. XFP transceivers can operate over a single wavelength or can be used with dense wavelength-division multiplexing techniques. 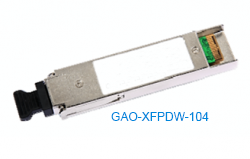 Through GAOTek, you can purchase XFP transceivers in several categories, including XFP BIDI (bi-directional), XFP Coarse Wavelength Division Multiplexing (CWDM), XFP DWDM (Dense Wavelength Division Multiplexing), and XFP Tunable Transceivers. 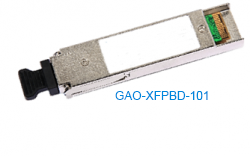 As established, all XFP transceivers support up to 10 Gbps speeds. The compact design also adheres to all relevant networking protocols and media requirements. They comply with the current XFP Multi-Source Agreement (MSA), with the 10-Gigabit Ethernet 10GBASE-SR/SW per IEEE 802.3ae, and also, the 10G Fiber Channel 1200-Mx-SN-I for high-speed communication over optical fiber. In many cases, you’ll find XFP transceivers to be superior and more cost-effective than any other options. 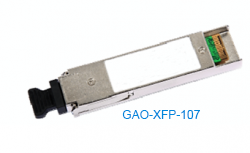 XFP transceivers are available in multiple types, ensuring you have what’s most appropriate for each link and to provide the necessary reach over other available types. Some of the more popular XFP transceiver categorise include SR, LR, ER, and ZR. If you are unsure regarding whether you require an XFP, SPF, or SPF+ transceiver, don’t hesitate to speak with one of our representatives. They would be happy to provide more information and suggest the most appropriate product tailored to the needs of your connection. Choose from several XFP transceivers in the GAOTek catalogue and use them on your current or next project anywhere in Canada, the United States, or internationally. 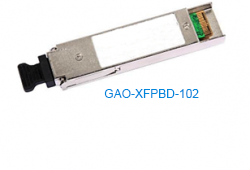 This 10 Gigabit 1270nm and 1330nm XFP Bidirectional Transceiver is used with single mode optical fiber to reach up to 6.21 miles (10km) transmission distance. This 10 Gigabit 1270nm and 1330nm XFP Bidirectional Transceiver is used with single mode optical fiber to reach up to 24.85 miles (40km) transmission distance. This 10 Gigabit 1270nm and 1330nm XFP Bidirectional Transceiver is used with single mode optical fiber to reach up to 37.28 miles (60km) transmission distance. 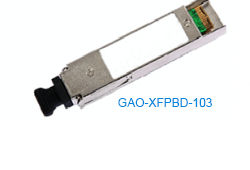 This 10 Gigabit 1490nm and 1550nm XFP Bidirectional Transceiver is used with single mode optical fiber to reach up to 49.72 miles (80km) transmission distance. This 10 Gigabit 1470 ~ 1610nm XFP CWDM Transceiver is used with single mode optical fiber to reach up to 49.72 miles (80km) transmission distance. This 10 Gigabit 1270 nm ~ 1330 nm XFP CWDM Transceiver is used with single mode optical fiber to reach up to 37.28 miles (60km) transmission distance. This 10 Gigabit 1470 ~1610nm XFP CWDM Transceiver is used with single mode optical fiber to reach up to 24.85 miles (40km) transmission distance. 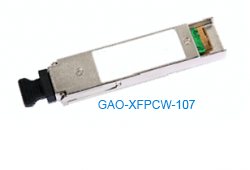 This 10 Gigabit 1270~1610nm XFP CWDM Transceiver is used with single mode optical fiber to reach up to 6.21 miles (10km) transmission distance. This 10 Gigabit 1270~1410nm XFP CWDM Transceiver is used with single mode optical fiber to reach up to 24.85 miles (40km) transmission distance. This 8.5 Gigabit 1470~1610nm XFP CWDM Transceiver is used with single mode optical fiber to reach up to 49.72 miles (80km) transmission distance. This 8.5 Gigabit 1470~1610nm XFP CWDM Transceiver is used with single mode optical fiber to reach up to 24.85 miles (40km) transmission distance. 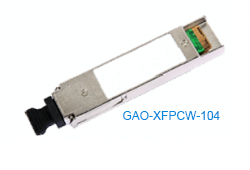 This 10 Gigabit XFP DWDM Transceiver is used with single mode optical fiber to reach up to 49.72 miles (80km) transmission distance. 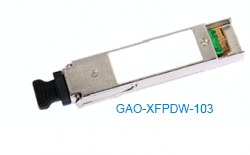 This 10 Gigabit XFP DWDM Transceiver is used with single mode optical fiber to reach up to 24.85 miles (40km) transmission distance. This 8.5 Gigabit XFP DWDM Transceiver is used with single mode optical fiber to reach up to 49.72 miles (80km) transmission distance. This 8.5 Gigabit XFP DWDM Transceiver is used with single mode optical fiber to reach up to 24.85 miles (40km) transmission distance. 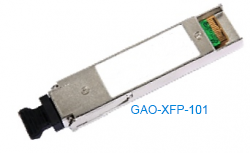 This 10 Gigabit 1310nm XFP Transceiver is used with single-mode optical fiber to reach up to 6.21 miles (10km) transmission distance. This 10 Gigabit 1550nm XFP Transceiver is used with single-mode optical fiber to reach up to 24.85 miles (40km) transmission distance. 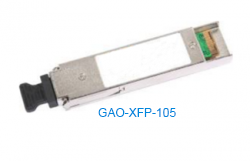 This 10 Gigabit 1550nm XFP Transceiver is used with single-mode optical fiber to reach up to 49.72 miles (80km) transmission distance. 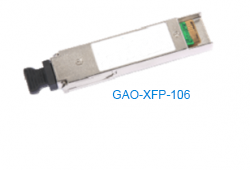 This 10 Gigabit 850nm XFP Transceiver is used with multi-mode optical fiber to reach up to 984.25 ft. 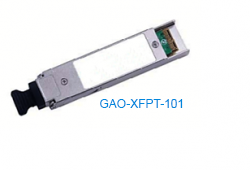 This 10 Gigabit 1310nm XFP Transceiver is used with single-mode optical fiber to reach up to 1.24 miles (≤2km) transmission distance. 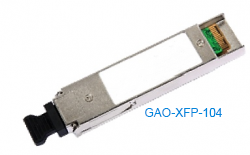 This 8.5 Gigabit 1310nm XFP Transceiver is used with single-mode optical fiber to reach up to 6.21 miles (10km) transmission distance. This 8.5 Gigabit 850nm XFP Transceiver is used with multi-mode optical fiber to reach up to 984.25 ft. (300m) transmission distance. 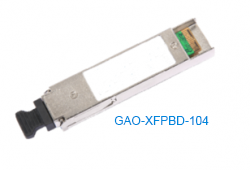 This 10 Gigabit XFP (small form-factor pluggable) Tunable Transceiver is used with single mode optical fiber to reach up to 49.72 miles (80km) transmission distance.